Phi Phi Island Village Beach Resort is seducing nearly-weds as one of Thailand’s most incredible wedding destination stays; a romantic. 4.5-star beachfront retreat with specially designed packages for a perfectly tropical Wedding Day. 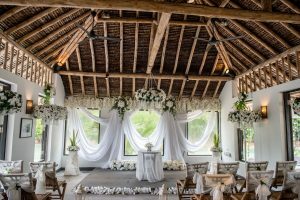 Meanwhile, the luxurious, boutique-style bungalow and villa resort boasts a dedicated and experienced team of multi-talented wedding planners to cater for every couple’s uniquely special day, including a growing number of LGBT nuptials and modern-style wedding parties. Year-round sunshine and sparking white sands, with the turquoise waters of the Andaman Sea, couples fall in love with the idyllic setting of Phi Phi Island Village Beach Resort. 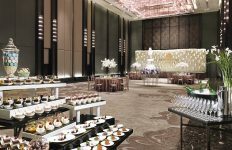 With impressive facilities and attractive Western and traditional Thai wedding packages, many couples looking forward to saying ‘I do’ in 2019, 2020 and beyond are from Thailand as well as other parts of Southeast Asia, Asia-Pacific, Asia and Europe. These couples include millennial and luxury travelers who are more interested in experiential travel than anything else. 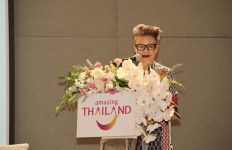 This extends to China’s population of young, HNW individuals who are increasingly falling head-over-heels with Thailand’s beach destinations. Set amidst natural beauty, with an expansive 800-metre sandy shoreline. 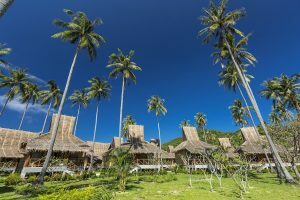 Phi Phi Island Village Beach Resort exudes an air of relaxed exclusivity. The beachfront, free-form pool and Wana Spa combine with stunning bars and restaurants looking out to breathtaking sunset vistas and evenings of private dining on the beach. Whilst the ambiance might be laid-back, there is an attention to detail and highly professional approach to creating personalised weddings at the resort that are reflected individual packages. 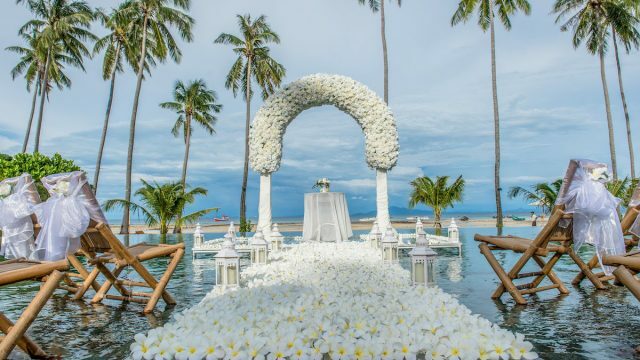 Touch of the Sea Package, at THB 88,275 net, includes floral set-up on the beach, decorations, flowers and a ceremony on the sand. The happy couple get to enjoy breakfast in bed the next day, with a bottle of sparkling wine and free room upgrades. Plus a love-tree planting ceremony. The Lovers in Paradise Package. at THB 116,523 net, adds some extra touches with a petal-strewn aisle, a Hillside Pool Villa stay with flowers, an 85-minute couples’ massage, plus a candlelit dinner on the beach. 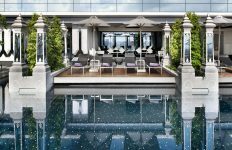 The Pool Serenity Memories of Love Package, at THB 153,010 net, adds a floating stage on the water as well as a wedding cake. Meanwhile, the Traditional Thai Wedding Ceremony, at THB 88,275 net. includes garlands, a long drum procession and a Thai master of ceremonies with chanting Buddhist monks. Part of tradition are water-pouring rituals to bless each and every couple. Meanwhile, couples can also design their own specially themed wedding.